Augmented reality, going by its name can enhance, expand and improvise your current reality perception like no other way. Physical world environments can be augmented by superimposed virtual computer-generated images. At Dynamic pixels, with an able team on hand, We create applications of augmented reality as per client’s needs. 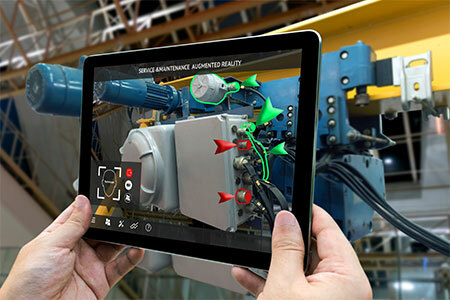 Cell phones apps and business applications are few of many examples of AR. We also make sure that the information provided is highly relevant to what you want. There are different types of technologies that make up augmented reality. Contact us today and we shall help you in explaining and analyzing what application shall suit best to your needs. And if you are clear on what shall work best for you our team is here to work and assist you through the process.